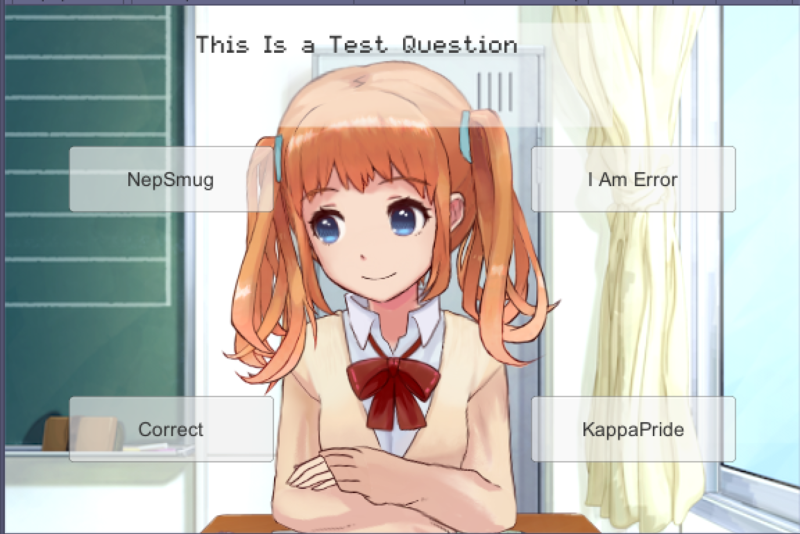 I've attached the Code i've made in a Zip file, though really only The Char Select and Quiz Answers are the ones i think you should be concerned about. Also worth mentioning is that i have 2 models on the canvas in unity, and have only one of them displayed at a time. Could anyone help with this? I'm using The SampleApp Data from the Unity SDK, if that's worth mentioning. I can also send the data scripts if necessary, But they've gotten pretty big, so i might need to put some tag comments on them before i do that. I've had the same problem, but there are a few ways as for how exactly motions are given to the model. Please send me your code, and I'll give it a look to see how we can work it out. I've just attached a zip folder with the script i've written. You should only have to look at Quiz answered, and maybe Select Char. Sorry if it's hard to read. That's what i got it. I hope this might help you in some way. Ah, I'm glad that you've found a solution. Thank you for posting it! Yeah, thanks for posting your solution !